We’re Josh and Lindsey Wise. Before we tell how we can help you and your partner overcome conflict, increase intimacy, and have more love in your life, let us make one thing clear: we’re not perfect. We’re human. We know how challenging relationship can be. After all, we’re married. We have two children and we’ve been together for ten years. Over the years, we’ve disagreed, argued, and shouted. We’ve lost our tempers. We’ve tuned each other out. We’ve been grumpy (usually when we’re hungry). We’ve wondered why we’re even together. And even though we live in Bali, it doesn’t mean that every day is perfect. We understand just how frustrating, painful, and annoying relationship can be. That said, we believe in relationship and we believe in love. We’ve experienced the joy and growth that come from learning to work with conflict and differences in relationship. Rather than building walls, we’ve learned to see conflict as a doorway into the love and uniqueness that brought us together in the first place. By learning some simple techniques for mindful communication, acceptance, and compassion, we’ve grown closer than we ever could have imagined when we first fell in love. Back then, we were two young dreamers who fell in love on a road-trip through the Rocky Mountains in the western United States. Our love began on the road, and we’ve been traveling ever since. We’ve lived in California, Europe, and Southeast Asia. Now we live in Ubud, Bali. 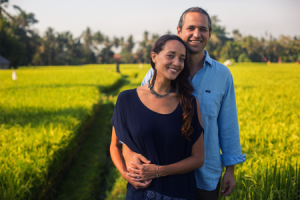 We’ve lived in Bali for the past five years and we are grateful for the wisdom we’ve received on this beautiful island. 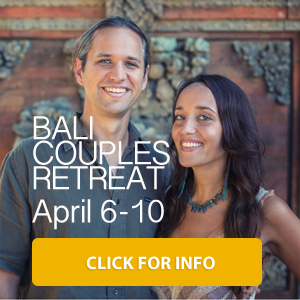 Here in Bali, we offer retreats and private coaching for couples who want to bring more love to their relationship. We work with couples from around the world who know that there really must be something more to relationship—couples just like you. The work we do is unique. Our approach draws upon Eastern spiritual traditions and Western Psychology. We blend our diverse training to create experiences that you won’t find anywhere else. If you’re ready to discover the joy that can come from a flourishing love relationship, we have something to offer you. Hi, I’m Josh. I remember the first time Lindsey caught my eye and smiled. I almost fell over. Time stood still. Actually it did more than stand still—it opened up. Maybe it sounds a little corny, but for a brief moment, it was like a glimpse into eternity. It was the beginning of my journey with Lindsey. Since that day, our journey has taken us all over the world. It has been a journey filled with joy and love, but also frustration and conflict. I’ve gained a few gray hairs over that time. I’ve learned a lot about listening, forgiveness, acceptance, and kindness. I’ve also learned that Lindsey and I aren’t alone. Other couples struggle in very similar ways. We’re all human and we make mistakes as we try to love and support one another. I counsel couples from all over the world. 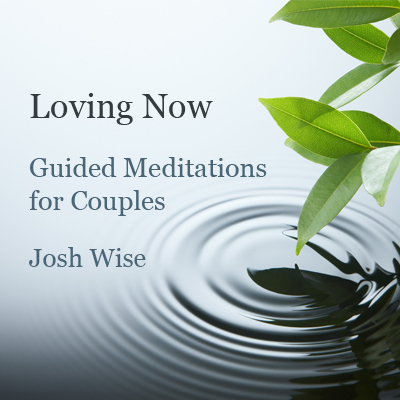 I teach mindfulness-based relationship strategies that will help you bring more love and connection into every-day situations. I teach couples simple techniques for communicating. These are techniques that I practice in my relationship with Lindsey. 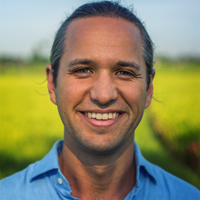 In addition to my work with couples, I’m the counselor at the Green School in Bali. I get to help students and families cultivate sustainable wellbeing. My work with mindfulness and relationships has been noted in Mindfulness Magazine and Elephant Journal. I have two master’s degrees. One in Psychology and another in Alternative Education. I’m currently completing my Ph.D. in Psychology, researching the connections between meditation, compassion, and relationships. I love cycling, baseball, and playing the guitar and ukulele. Hi, I’m Lindsey. I remember when I first met Josh. There was something that I recognized in him. It’s hard to put into words. There was just that spark of recognition that made me feel at home. Our life together has been fun, loving, and adventurous. Our relationship has challenged me and helped me to grow in ways I never anticipated. I’m a self-proclaimed gypsy who loves to explore the world. Josh loves the security and comfort of home. This is just one of the ways in which we are totally different—and completely compatible. Our relationship gives me an opportunity to apply the wisdom that I learn in yoga and meditation. I get to practice acceptance and kindness in little ways everyday. I’m a Certified Yoga Teacher and Craniosacral Therapist. I’ve traveled the world learning yoga, meditation, music, and healing. I love to share these gifts. 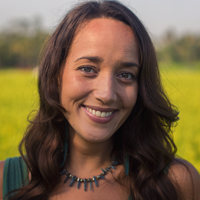 I’ve been blessed to present at the Bali Spirit Festival, MurFest in Malaysia, and at many yoga teacher trainings and healing retreats here in Bali. I help people change, heal, and grow. I have a deep sense of intuition that I can’t always explain. I’ve learned to trust this intuition and I can use it to help you and your partner remove the energetic blocks that stifle communication and lead to conflict. I’m a mother of two young children. They keep me on my toes and they teach powerful lessons about love. I love singing, dancing, and playing the guitar in the sunshine. To ask us a question, to book a session, or to share a heart-warming story about your relationship, please send us a message via the contact page.